By Susan B. Dopart, M.S., R.D., C.D.E. So, what's the real story? Will going on a gluten-free diet improve your health or help you lose weight? The answer is that it depends. Limiting your intake of gluten means you are cutting out many starchy, refined carbohydrates, and that in itself can help your weight and health. Eating gluten-free, however, is a must for those with celiac disease, who face real risks from ingesting gluten. For example, a typical slice of gluten-free bread contains 15 grams of total carbohydrate -- the same amount as a regular slice of bread. A snack of gluten-free crackers can contain 30 grams of carbohydrate per serving, the same as regular crackers. If you have celiac disease, eating gluten-free is your only option. If you believe you have gluten sensitivity, going on a gluten-free diet is worth exploring. For the rest of us, there's no need to follow the trends of what is currently in vogue with food manufacturers. Eating simple, unprocessed foods according to what your body can tolerate is the best way of eating. 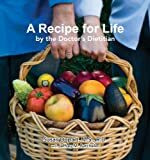 Susan is the author of "A Recipe for Life by the Doctor's Dietitian." For more information, visit susandopart.com. Susan B. Dopart, M.S., R.D., C.D.E.